On Friday, the Ukrainian commercial investigative police searched the headquarters of the country’s sixth biggest bank Ukrsotsbank in Kiev on Friday. Ukrsotsbank was the only affiliate of Bank Austria generating losses in the first half year because of higher credit revaluations. Pre-tax losses amount to € 65m. 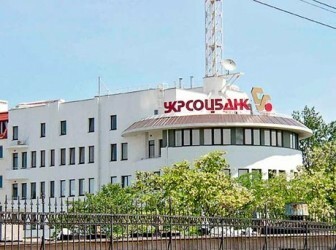 In a press release on Friday Ukrsotsbank announced having been ready to hand out documents and information to the police to fend off the image-damaging proceedings by the commercial investigative police. However, the police preferred a house search where documents and computers were confiscated. The operative business and costumer service was stopped during the raids in the headquarters. The house searches were ordered by the court Leninsky in Donetsk in regard to a case with real estate agency PJSC Isa Prime Development concerning rental income for Horizon Park Business Center which became the property of the bank. However, rental incomes were transferred to the previous owner Isa Prime Development. Moreover, the real estate company had the securites of Ukrsotsbank invalidated before court. The bank has granted loans in the amount of $ 190m to Isa Prime and the connected enterprises.